Individuals with demanding lives can now experience refreshing clarity on a daily basis with Acuvue Oasys 1-Day with Hydraluxe! 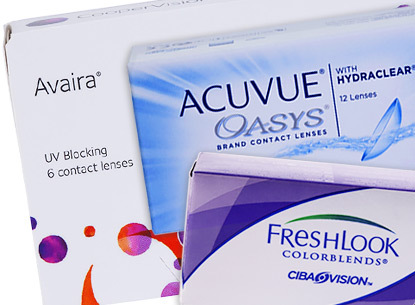 Preferred 2:1 in comfort and vision, Acuvue 1-Day with hydraluxe are a preferred choice by patients all over the globe! 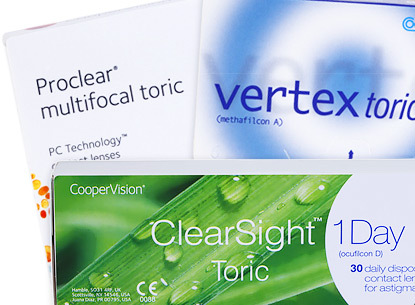 The lenses tear-infused design helps support the natural tear film with an enhanced network of tear-like molecules, that work with your eyes own tear film. 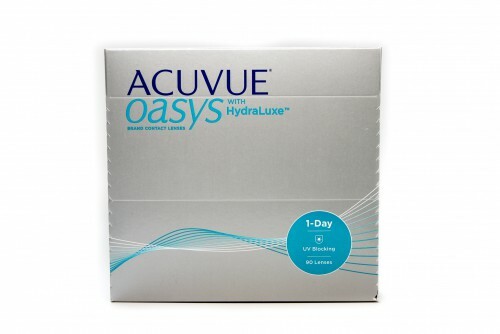 Packaged in an electrolyte-balanced solution, Acuvue Oasys 1-Day with Hydraluxe lenses supply your eyes with a smooth optical surface that keeps them moist, provides additional oxygen to the cornea, and lubricates the eyes, making blinking feel even more natural. 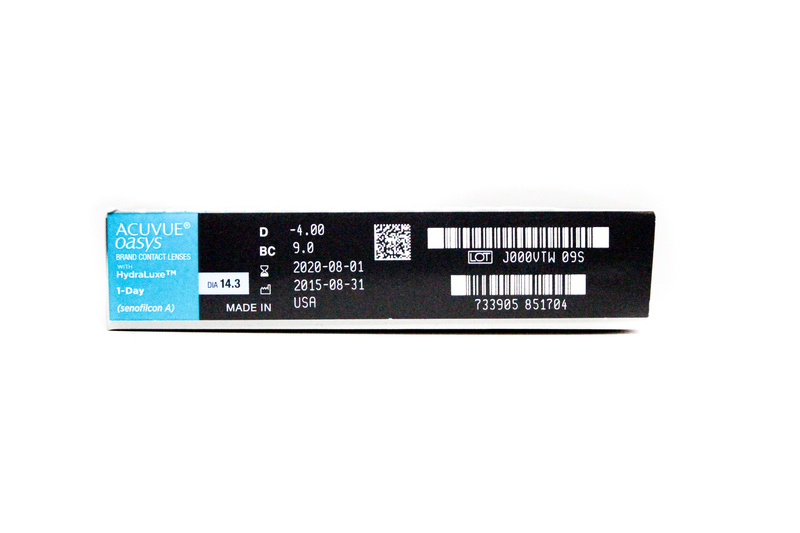 These lenses also have increased lens diameters that ensure full corneal limbus coverage during blinking. Through advancements in optical design, Acuvue Oasys with Hydraluxe technology tear infused solution works directly with the tears found on the surface of your eyes. This process helps support stable tear film and reduces the symptoms of tired eyes, irritation, and dryness. 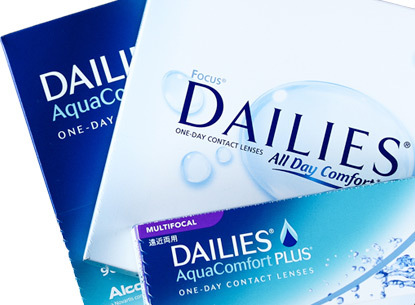 This helps provide moisture and a more pleasant and comfortable wearing experience than other contact lenses on the market. Experience the comfort that millions are already talking about with Acuvue Oasys 1-Day with Hydraluxe 90 pack lenses, from Johnson and Johnson. 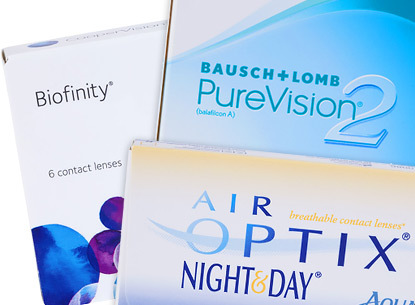 • Manufacturer: Johnson & Johnson Vision Products, Inc.
Acuvue is one of the industry leading manufacterers of disposable contact lenses in the United States. For over 20 years Acuvue has provided vision care for individuals around the globe. 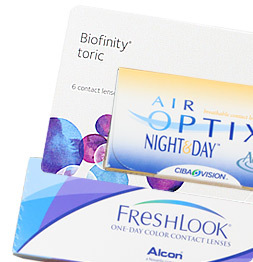 Their passion and innovation have changed the way people wear contact lenses today. 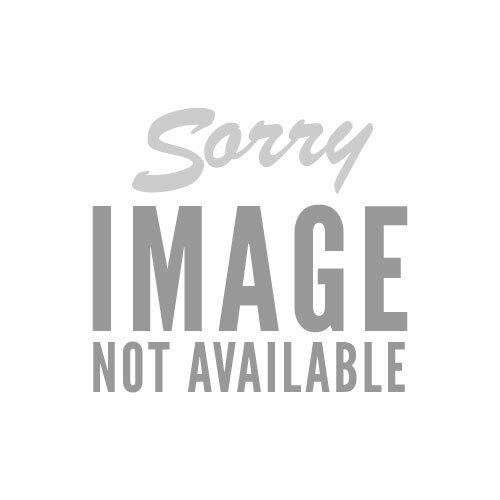 Experience clearer vision and relaxed comfort with americas favorite brand, Acuvue.